Raspberries work like magic on wrinkles. They can be used as a natural face mask. They also protect the skin against the sun’s rays. The antioxidant powers of vitamin C effectively reduce the age spots and discoloration. By filling in minor wrinkles, they can help you restore your youthful appearance. They can be made into great facial masks for glowing skin; you just need to mix 1 cup of plain yogurt and 2 cups of fresh raspberries, then blend the mixture until it becomes completely smooth. Apply the mixture to your entire face and keep it on for 15 minutes. Then, wash it off with tepid water. Raspberries, blackberries and muscadine grapes all have metalloproteinase enzymes. These are essential for the development and renovation of tissues, however if they are produced in abnormally high amounts, they may act as a catalyst for cancer development. They have high amounts of vitamin C, riboflavin, folate, magnesium, manganese, niacin, potassium and copper. This makes them a complete fruit to offer overall, healthy prosperity. Some documentation has suggested that raspberries are also good specifically for women. They are good for single women, pregnant women, and lactating mothers. (Read more: Smart medicine for a healthier child by Janet Zand, Robert Rountree, Bob Rountree, Rachel Walton) Raspberry leaves can be used as herbal teas for single women, which regulate menstrual cycles and decrease excessively heavy menstrual flows. For pregnant women, raspberry tea successfully relieves nausea, prevents hemorrhage, reduces pain and helps in childbirth. 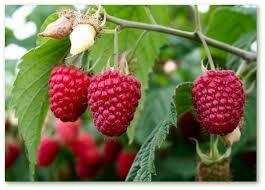 For lactating mothers, raspberry tea or eating the fruit will help to increase the production of breast. Raspberries and other forms of berries have truly magnificent color, aroma and flavor that actually do not require any recipe for consuming. However, if you wish to enhance your diet with a complete nutritious meal, you can of course add raspberries to make your recipes unique. To make a raspberry drink, Mix one packet of flavored raspberry gelatin with a half cup of boiling water. Keep blending this mixture until the gelatin is completely dissolved. Then add a half cup of vanilla yoghurt, a half cup of fruit and one cup of crushed ice. Blend the drink well, until it becomes smooth. This entry was posted in arbusti fructiferi, English. Bookmark the permalink.